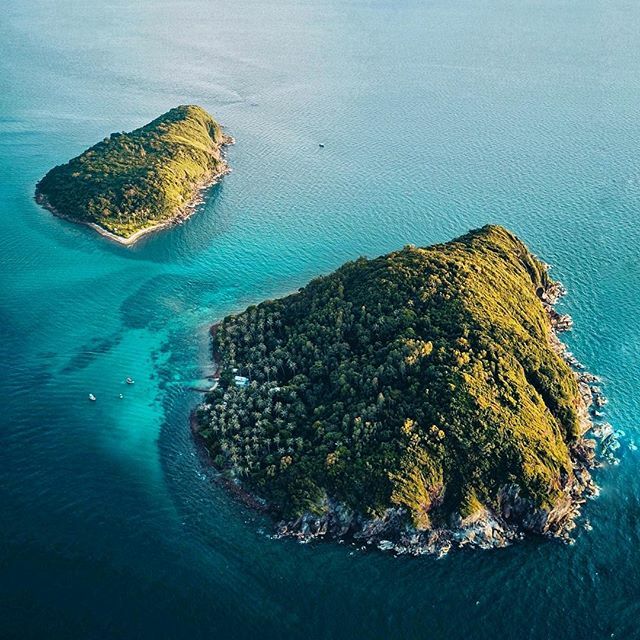 Nam Du is a beautiful archipelago in the Gulf of Thailand. It’s a popular destination for many Vietnamese but still a mystery to foreigners because it was once an off-limits area to non-Vietnamese visitors. But the island is now open to foreign visitors and its once restricted charm is available to those who make the trip. 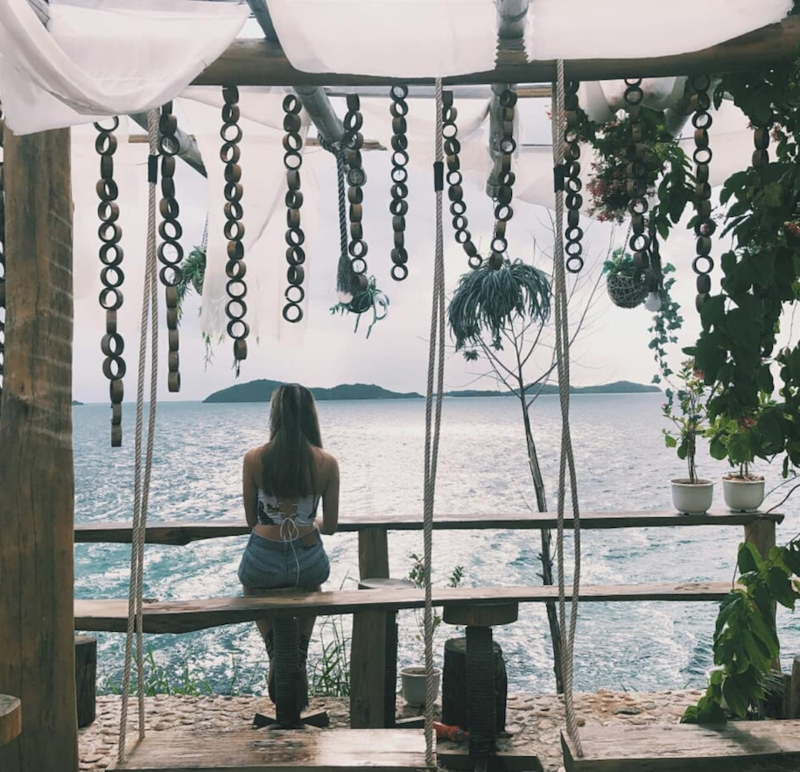 In recent years, Nam Du island has become one of the top destinations for a quick weekend escape trip for many local youngsters. Even though the island is much smaller compared to Phu Quoc island, it’s way cheaper. 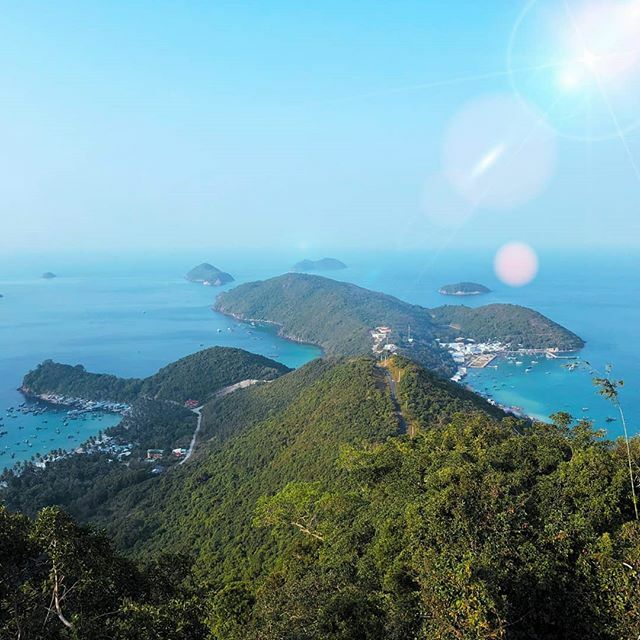 Nam Du wins the hearts of many people because of its pristine beach, gorgeous small green islets surrounding the main island, delicious seafood, and interesting island-hopping tours. This article will cover all the facts that you need to know before traveling to this beautiful island. Nam Du island is part of Kien Giang province. It is the most beautiful archipelago of Kien Hai ward. The archipelago contains 21 islands, and Hon Lon is the main one. Tourism has yet to be fully developed so it retains its original wild beauty. Since the electricity goes in and out randomly, there are times when you won’t be able to access the internet and connectivity to the outside world will be at a minimum. I believe a real vacation starts here, without your phone, without emails, and without worry. Just like the rest of Vietnam, you can divide the weather in Nam Du into dry season (from December to March) and wet season (from April to November). The most ideal time to visit this island is during the dry season, the weather is nicer with the shining sun and clear sky. The ocean is also calmer so you can travel without caring too much about motion sickness. With such nice weather, there are many activities you can do. Swim in the crystal clear water, relax under the sun on one of the satellite islets, camp on the beach, and fall asleep to the relaxing sounds of ocean waves crashing onto the shore. You can still visit Nam Du during wet season. However, be ready for the tropical rain which might stop you from enjoying all that this island has to offer. Since the boat is the only transportation taking you to and from the island, if there is a big storm coming, you can’t do anything but delay your trip. The only way to reach Nam Du island is by boat. As a result, you will need to travel to Rach Gia city first. The 220-kilometer road trip is easy to conquer by bike, sleeper bus, or private car. With the help of Google Maps and Map.me, you can easily travel to Rach Gia from Saigon without worrying about getting lost since the route is very simple. The route is about 230 kilometers long which takes about five to six hours. 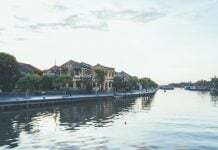 Following highway 1A, you will drive through Binh Chanh District, Long An Province, Tien Giang Province, My Tho City, Vinh Long Province, and Sa Dec city of Dong Thap Province. From here, continue onto highway 80 to arrive at Vam Cong ferry (it departs every 20 – 30 minutes, 24/7). Take the ferry to An Giang Province. After leaving the ferry, turn left at the first intersection to highway 80 again. Then go straight for around 30 kilometers until you reach Kien Giang Province. Rach Gia city is around 40 kilometers away from here. Be mindful that these apps will guide you to Trung Luong highway, which is not available for bikes. Make sure that you don’t choose the fastest route in this case. Traveling to Rach Gia from Saigon by bike will take around five to six hours. So you should stay a night in Rach Gia city to recover before heading to Nam Du the next day. Park your bike in the area around the pier. The price fluctuates from 10,000 – 20,000 VND. Don’t lose your parking ticket and put your key in a safe place, unless you want some drama after the trip. You should also make sure your helmet is secure or bring it with you. Check out our article here on renting motorbikes in Saigon to ensure an easy process. If you don’t want to drive the distance to Rach Gia and back, arranging a private car is a better solution. A round trip will cost roughly three million (for a seven-seat car) and 3.5 million (for a 16-seat car). I recommend Truong Ky transportation service. They have been operating for over ten years so regardless of the fact that the Facebook page doesn’t seem professional, I’m sure that their service won’t let you down. You will travel by boat for two hours to Hon Cu Tron (Hon Lon), Nam Du Island. 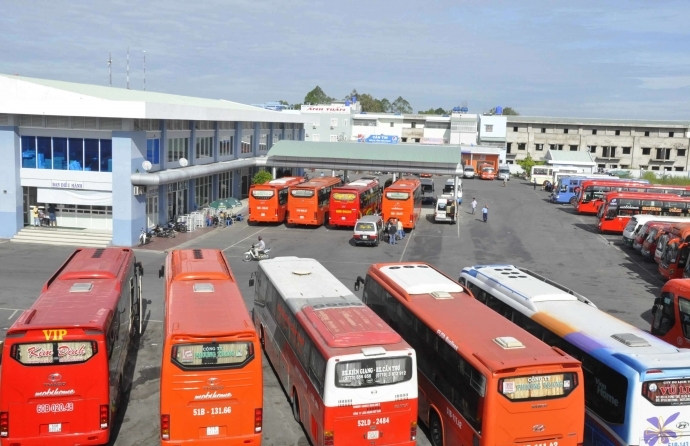 Vietnamese travelers have to bring an ID card or driver license to be able to board. If you are a non-Vietnamese resident, it is a requirement to bring your passport, valid visa, and Vietnamese driver license to be allowed to enter the border and island area. Superdong is a prestigious boat express that I trust. Every day, there are two boats that depart to Nam Du at 7:20 AM and 8:40 AM. 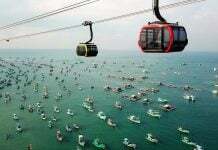 From Nam Du to Rach Gia, the boats will leave Rach Gia pier at 11 AM and 11:50 AM. Therefore, you must pay attention to the schedule in order not to miss your boat! Check out their website for more information. Bring a neck pillow if you have one, as sitting on the boat is quite uncomfortable. Motorbikes and small boats are the two available transportation options to travel in and around Nam Du. There is a bicycle option. But you will have to find a place to rent bicycles in Kien Giang, then take it to Nam Du with you. All in all, this process is more difficult and requires many steps. Motorbike: The acreage of Hon Cu Tron, the main island of Nam Du, is around 771 hectares, which only takes 15 – 20 minutes to drive around the island. You can rent motorbikes at your homestay to get around the main island (Hon Cu Tron). The price is around 100,000 – 200,000 VND per day. Boat: Island-hopping is one of the main activities in Nam Du. Just like motorbikes, you can rent a boat at your homestay or go to a private operator located close to the pier for this service. If you are travel in a small group, you can contact Mr. Ngai at 01636977859 or Mr. Bay at 01692701208 to rent a boat for about one million VND. Mrs. Tu Tho (01664840940) offers a group tour for different small groups or solo travelers with a reasonable price. Don’t stay out late after sunset if you’re on the mountain because there aren’t any street lamps, it will be dangerous to drive. This newly-built camp is a new “attraction” on Cu Tron island. There are nine bungalows and one dormitory, each of which has a different vibrant color with a beach view, AC, and private toilet. In the common area next to the beach, the owner has prepared some hammocks for you to lay in and read a book or take a nap and dream about being the lord of the island. 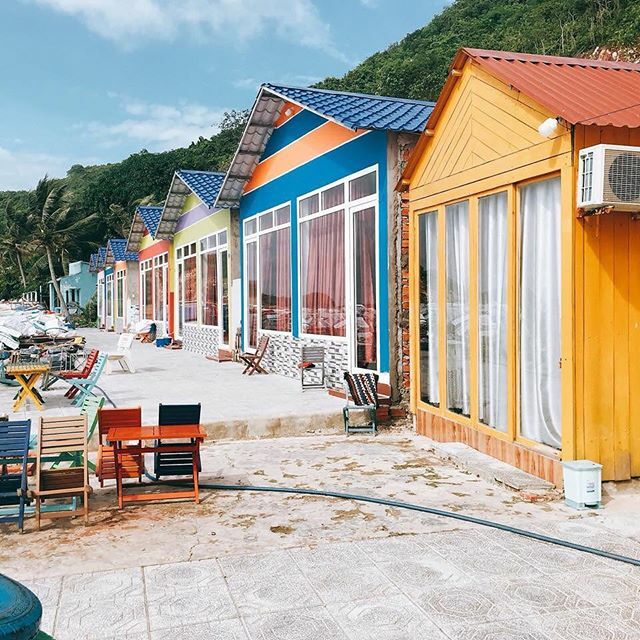 In addition to accommodation, Thao Thuong Camp operates extra services like leasing a boat for a group tour and renting out motorbikes for only 150,000 VND/day. These sea-facing bungalows at Humiso Nam Du are a perfect place to relax and watch the sunset. There are three types of rooms: tile roof bungalow, leaf roof bungalow, and hives. All of the rooms are equipped with AC and wifi. The bungalows also have their own private bathrooms while the hives have shared bathrooms. Just like Thao Thuong Camp, Humiso Nam Du also provides Nam Du tours and pick up from Rach Gia city. Bai Soi Homestay is located on Cu Doi island, isolated within the resident area, which is suitable for privacy-seekers. This homestay offers the best sunrise view from your room. They also have scuba diving services for you to discover the magnificent reefs under the water. When going to Nam Du, don’t miss the seafood here because of its freshness and reasonable price. Whether it is crab, lobster, sea snail, or fish– Nam Du has it all. The specialties of this island are echinus grilled with oil ganish, echinus porridge, scallop grilled with oil garnish, and lamprey grilled with galangal and boiled squids. Make sure you don’t miss out! Most of the food carts are located in the pier area. You can come here to hunt for food at any time of the day. If you are traveling in a group of more than ten people, you can pre-order food from Ms. Nam Nuong at 01692476540 or Nhuan at 01262833442. You can also arrange with your homestay owner for home-cooked services. As I mentioned above, if you leave Nam Du without going island hopping, you will miss an important part of this island. Each small island has its own attractions. You will find a fishing village at Hon Mau island. Hon Son island is a new solitary gem that hasn’t been spoiled by tourism. Hon Ngang island is a big fishing port, with water so clean that you can spot the fish in schools beneath the ocean surface. Even those people who hate swimming found that it’s hard to resist jumping into the blue ocean at Nam Du. Most of the islands and beaches at Nam Du are safe for swimming. However, as there are not many lifeguards working here, you should always be careful and don’t swim too far from the beach. 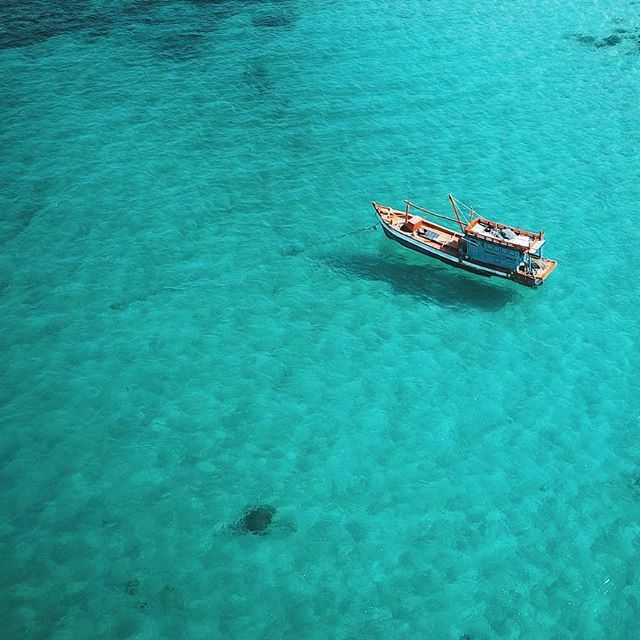 Some pristine beaches you can check out are Bai Cay Men on the main island, Hon Son island, and Hon Mau island. It would be a big loss not to go diving at Hon Hai Bo Dap, Bai Da Soi, and Hon Dau so don’t forget your swimming goggles. You don’t even have to go far offshore to see the colorful reefs. So even if you have ocean phobia, you can still partake in this activity. Be wary that you shouldn’t jump off your boat to risk an injury caused by the reefs. There’s your full guide to Nam Du island. I hope you find this article helpful and have a good adventure soon. If you want to know more about the other islands in Vietnam from North to South, read this article! 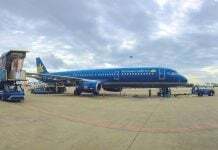 Are you going to Phu Quoc after Nam Du island? 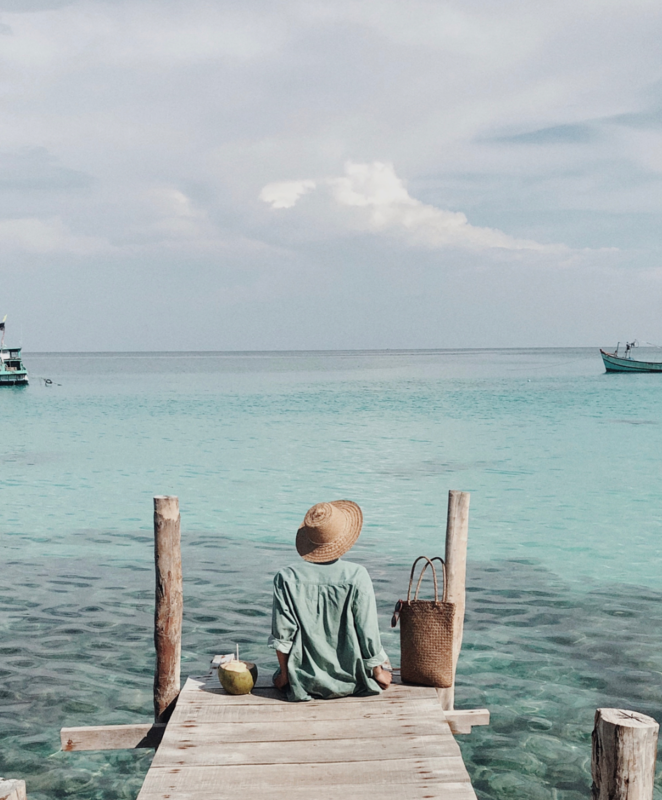 Take a look at our Phu Quoc guide. Con Dao is another interesting island worth a visit. Why don’t you check it out? Here is a collection of articles written by non-other than me, I hope you will enjoy reading these topics that I hold close to my heart. Can’t get enough of Christina’s articles? Follow us and stay tuned! More articles come out every week!